It is very important to follow your doctor's dosing instructions exactly. Your doctor will start you on a low dose and slowly increase your dose. It may take several weeks or months to reach the best dose for you and to get the full benefit from this medication. Use this medication regularly in order to get the most benefit from it. To help you remember, take it at the same time(s) each day. What conditions does Celontin treat? Drowsiness, dizziness, stomach/abdominal pain, loss of appetite, nausea, vomiting, weight loss, diarrhea, headache, or loss of coordination may occur. If any of these effects persist or worsen, tell your doctor or pharmacist promptly. Tell your doctor right away if any of these rare but very serious side effects occur: signs of infection (such as fever, persistent sore throat), aching swollen joints, rash on nose and cheeks, severe tiredness, easy bruising/bleeding, rapid breathing. List Celontin side effects by likelihood and severity. Before taking methsuximide, tell your doctor or pharmacist if you are allergic to it; or to ethosuximide; or if you have any other allergies. This product may contain inactive ingredients, which can cause allergic reactions or other problems. Talk to your pharmacist for more details. What should I know regarding pregnancy, nursing and administering Celontin to children or the elderly? Store at room temperature at 77 degrees F (25 degrees C) away from light and moisture. Brief storage between 59-86 degrees F (15-30 degrees C) is permitted. Do not store in the bathroom. Protect from heat sources such as a closed car or steam pipes. Do not use capsules that appear only partly full or in which the contents have melted. Keep all medicines away from children and pets. 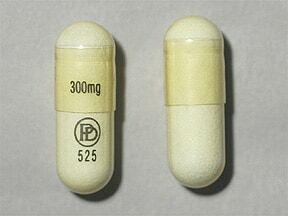 This medicine is a yellow, oblong, capsule imprinted with "PD 525" and "300mg". Are you considering switching to Celontin? How long have you been taking Celontin?